Q: After exporting a drawing to PDF from AutoCAD, when looking at the PDF file in PDF Studio, there are comments all over the PDF. Is there a way to fix this? A: A new feature was introduced in AutoCAD 2016 to allow for searchable text in a PDF when SHX fonts were used in the originating DWG file. However it incorrectly adds an extra sticky note comment to generated PDFs for every SHX font text object in the drawings (see below image). 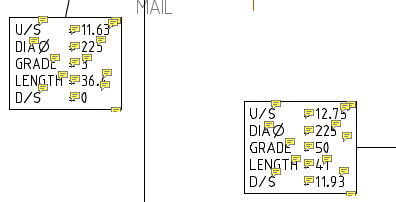 We fixed this issue in PDF Studio 12.04 by identifying the Autocad sticky notes and hiding the associated note bubbles. Make sure to download the latest version of PDF Studio from this link. Since this is being caused by the PDF output created by AutoCad you will need to use the following workaround in AutoCad to generate the PDF drawings without the comments. On the command line in AutoCAD, enter EPDFSHX and change the value to 0 (zero). In AutoCAD 2017, the command PDFSHX maps to EPDFSHX (either may be typed in). For AutoCAD 2016, the core AutoCAD 2016 Service Pack 1 must be installed in order to have the EPDFSHX variable (see Autodesk Downloads). To workaround not being able to change EPDFSHX, use AutoCAD 2015 or older to create PDFs, use a third-party PDF driver, or change the text in your drawing to a TrueType font.